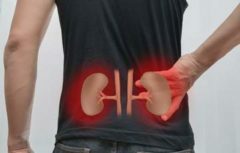 Which one is better: Hemodialysis or Peritoneal Dialysis? your medical condition, your lifestyle, and your level of comfort in administering your treatment at home. Both types of treatments are effective for many end stage renal disease (ESRD) patients. Regardless of whether you choose PD or HHD, the ability to dialyze at home can offer considerable clinical and lifestyle benefits. Research has shown that patients who perform home hemodialysis (HHD) may experience increased diet flexibility, better blood pressure control, improved sleep, reduced fatigue and nausea, reduced need for medications and a reduced frequency of hospitalization - especially those who take advantage of their home setting to have more frequent or extended dialysis. And for many patients, at-home dialysis can provide a level of flexibility not possible at a dialysis center. Whether it's additional time spent working, with family or fulfilling other obligations or interests, at-home dialysis allows patients to arrange their treatments around their own schedule. At-home dialysis also saves time because there is no need to drive back and forth to a dialysis center three days per week.